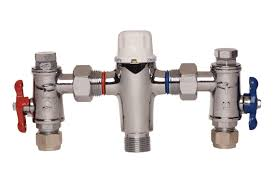 These valves are installed to commercial and residential properties for the purpose of maintaining a lower hot water temperature to showers, baths and hand basins. These should be serviced regularly by a licenced plumber. If you're looking for a complete bathroom renovation team in Canberra with expertise and experience to deliver a solution that is both high quality and affordable. When to renovate a bathroom.